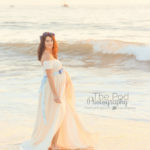 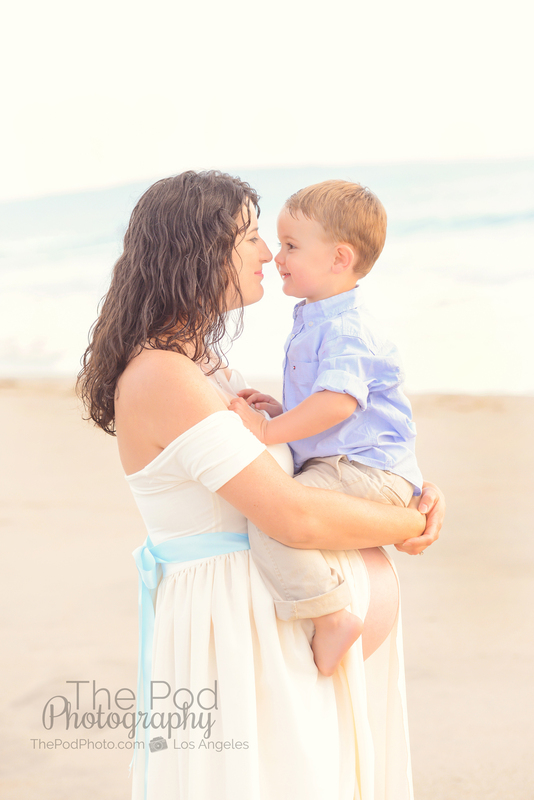 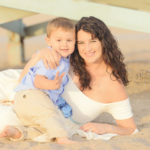 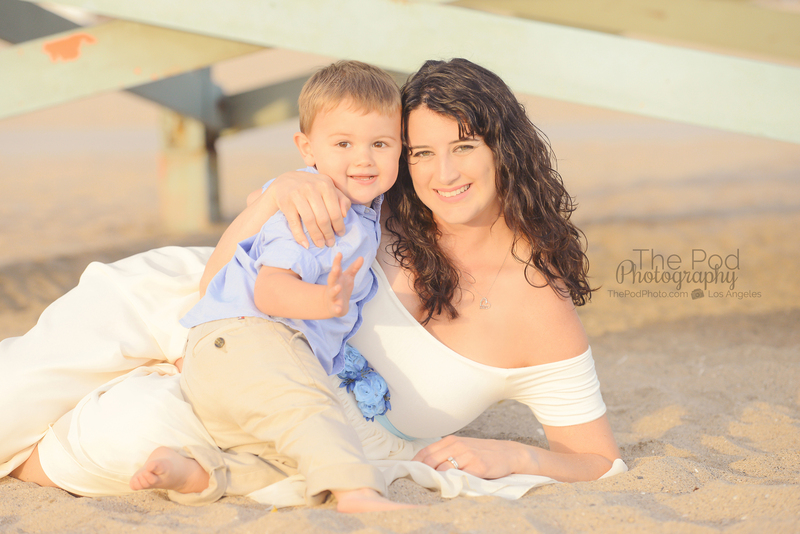 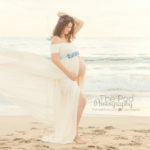 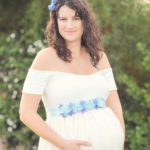 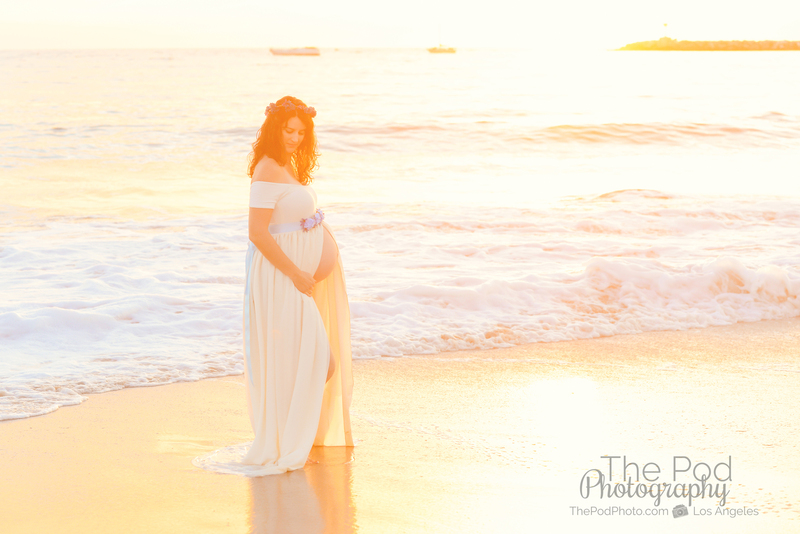 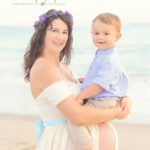 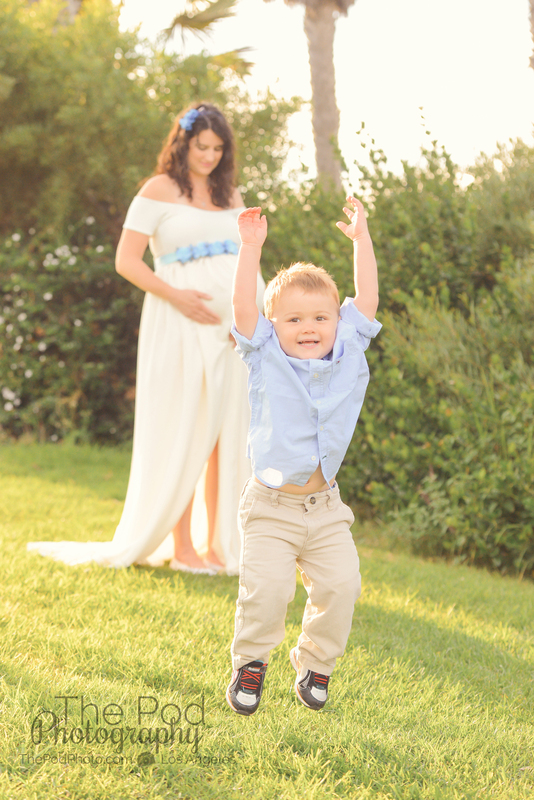 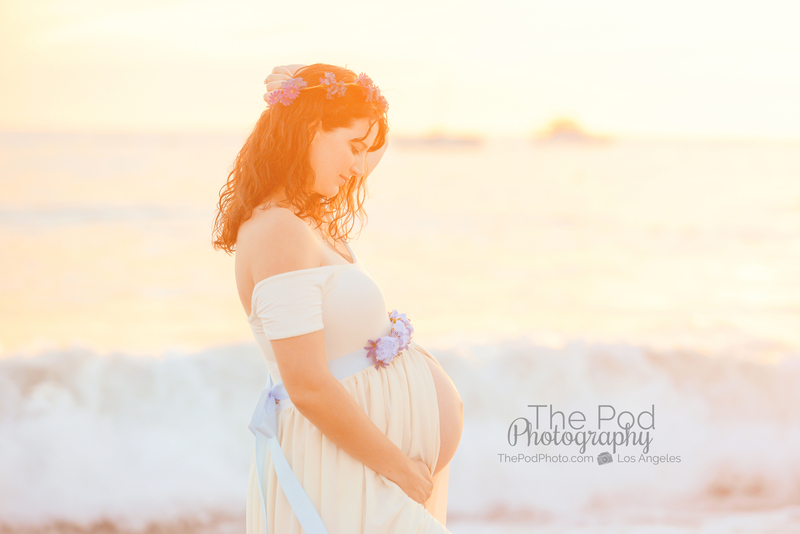 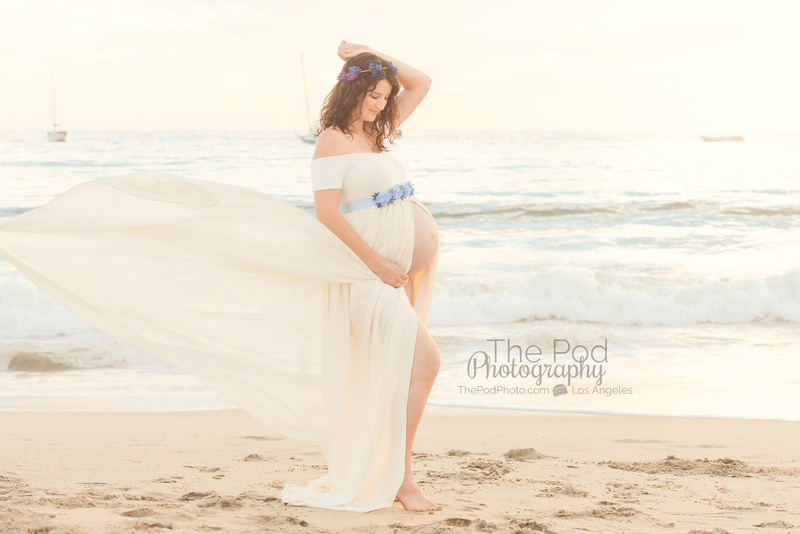 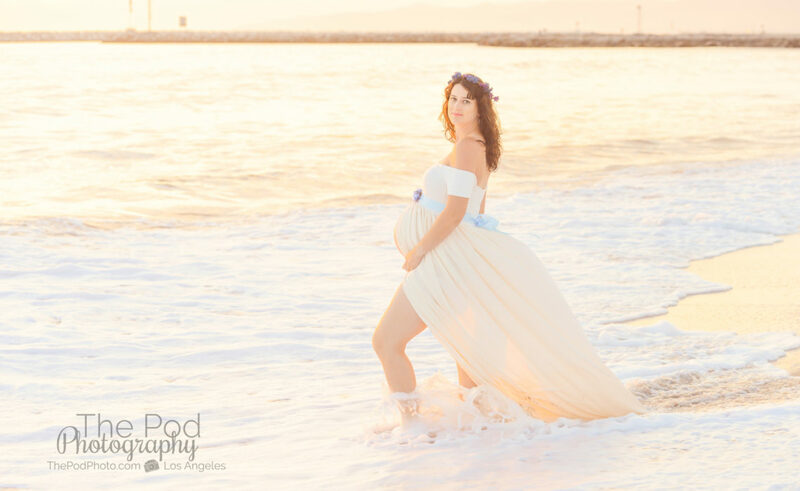 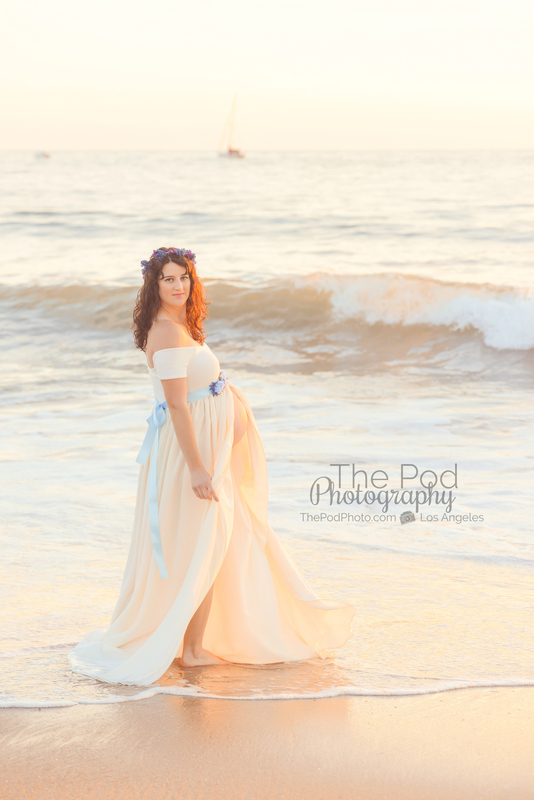 Maternity Photographer Playa Vista | Beach Mother and Son Pregnancy Photo Shoot - Los Angeles based photo studio, The Pod Photography, specializing in maternity, newborn, baby, first birthday cake smash and family pictures. 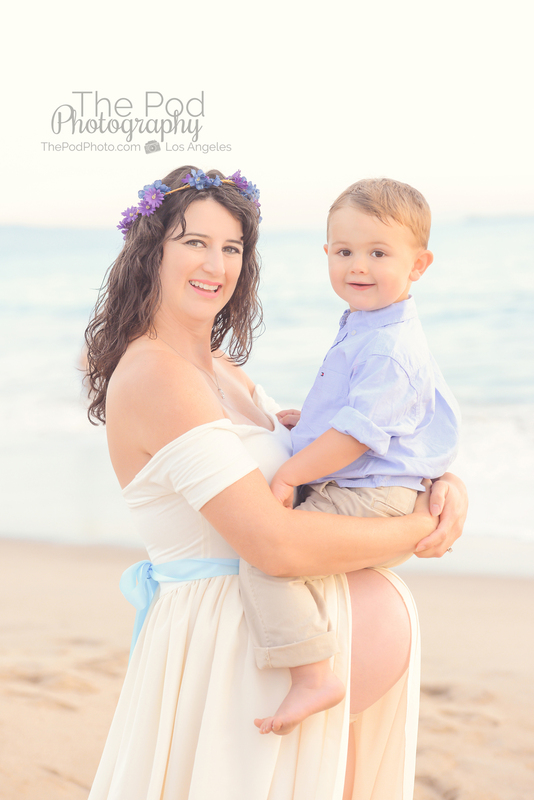 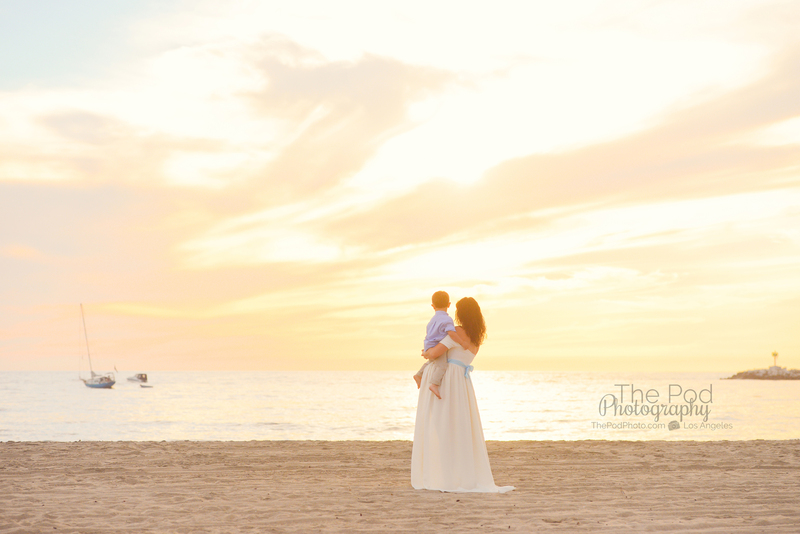 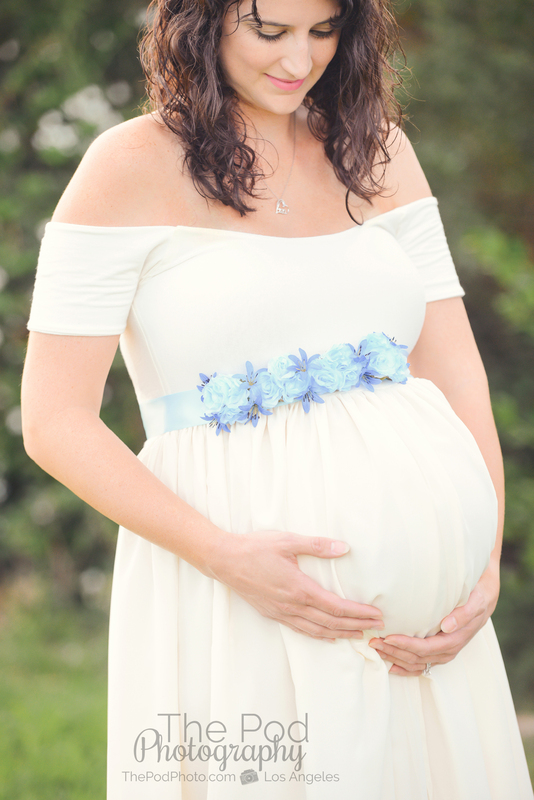 Mother and child maternity pictures are some of my absolute favorites! 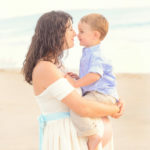 There is just something so incredibly sweet and about an older child hugging or kissing mom’s belly – it is so special to be able to document that unique relationship! 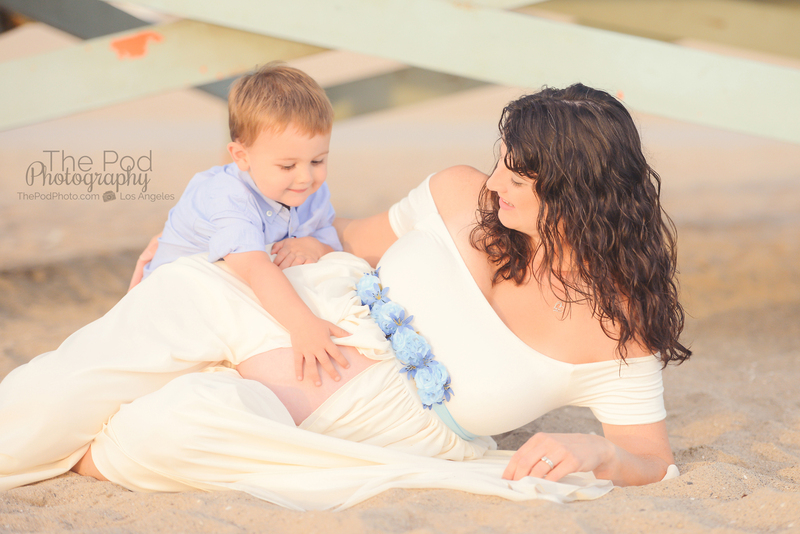 Dad decided to sit out the pregnancy shoot (but was very involved with the newborn photo shoot we did once the baby was born last week) so it was just mother an son. 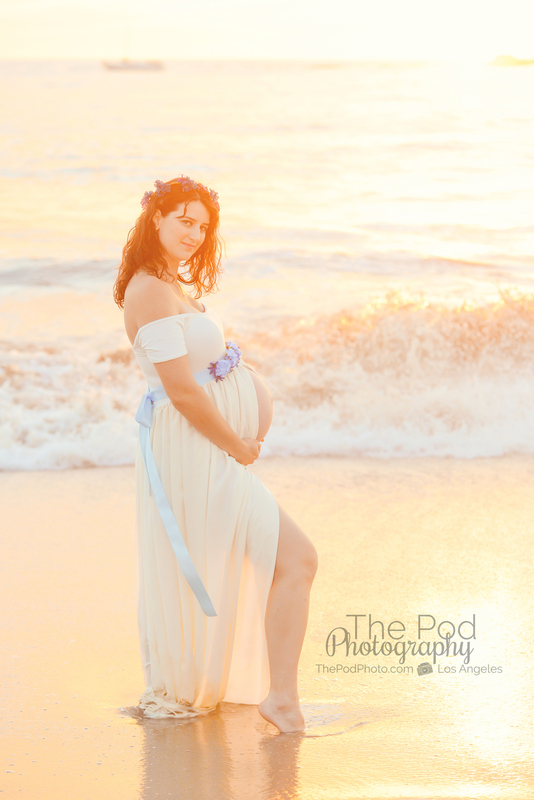 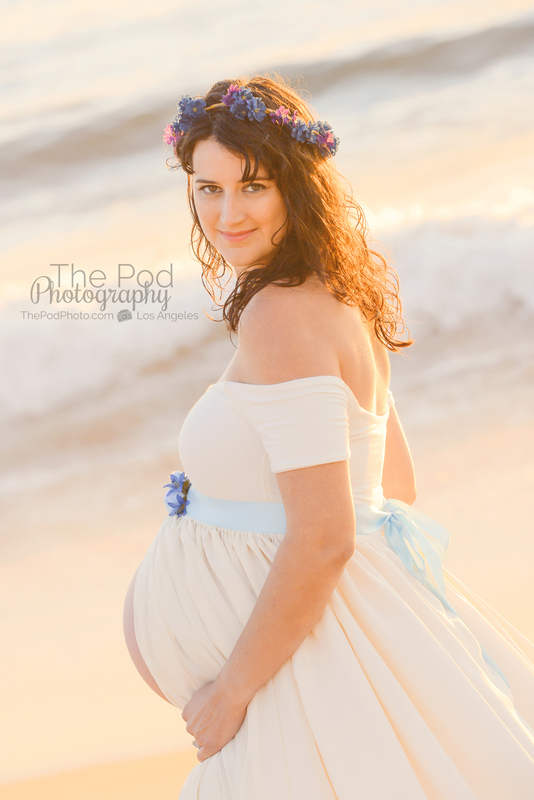 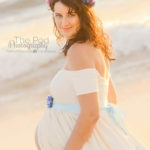 Mom wanted to do something a little bit playful and edgy for her pictures, and so she wanted to go in the ocean wearing one of our maternity gowns. 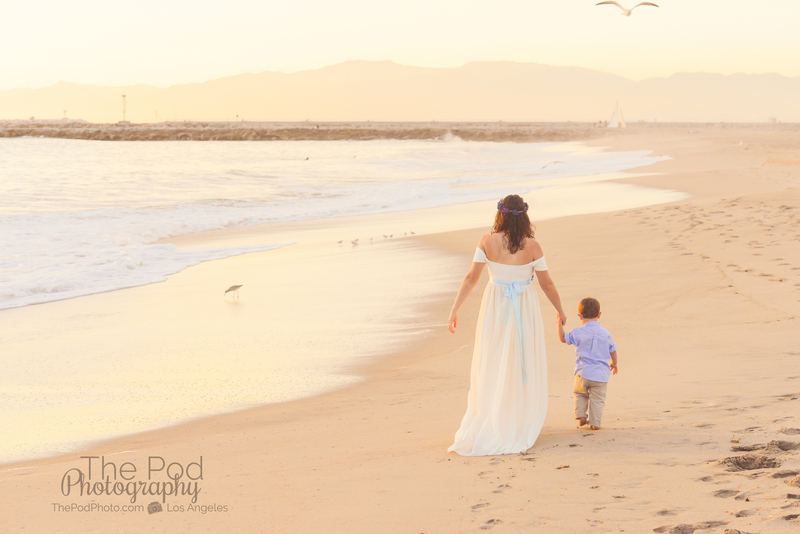 I reminded her that it was November and that the water would be freezing – but she said she was committed! 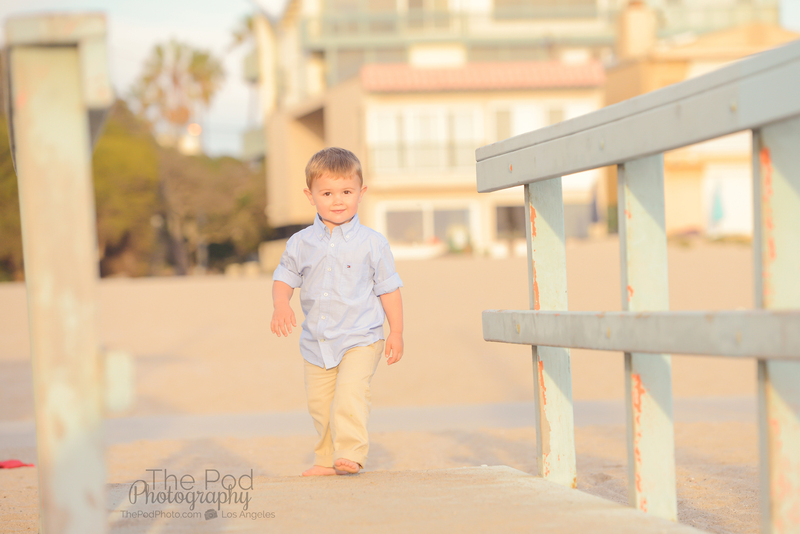 We selected Playa del Rey Beach in Playa Vista for the session and luckily, we got an unusually warm day and the water wasn’t too cold. 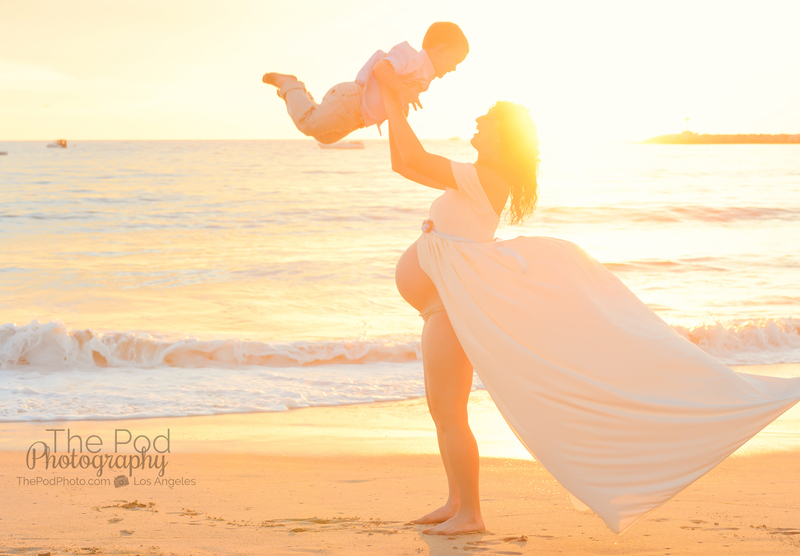 I know this because I had to stand in the water to get one of the angles 🙂 True to her word, mom walked into the water and looked like a graceful goddess in the beautiful sunset glow. 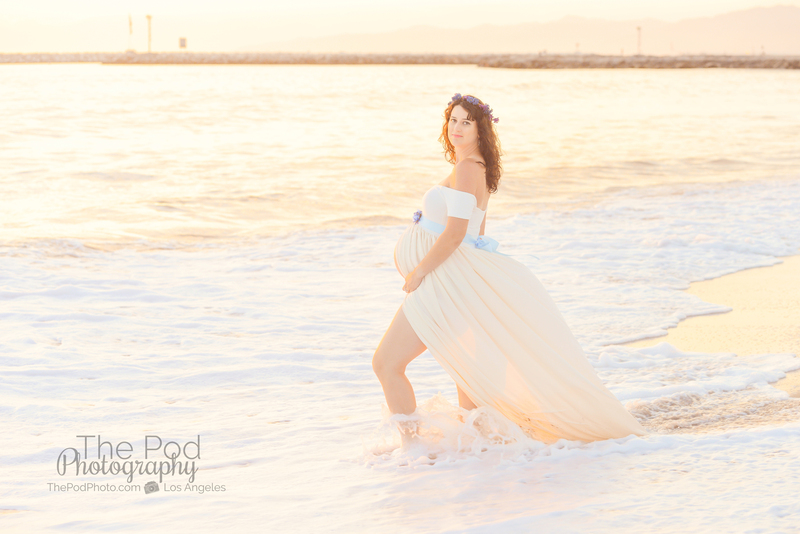 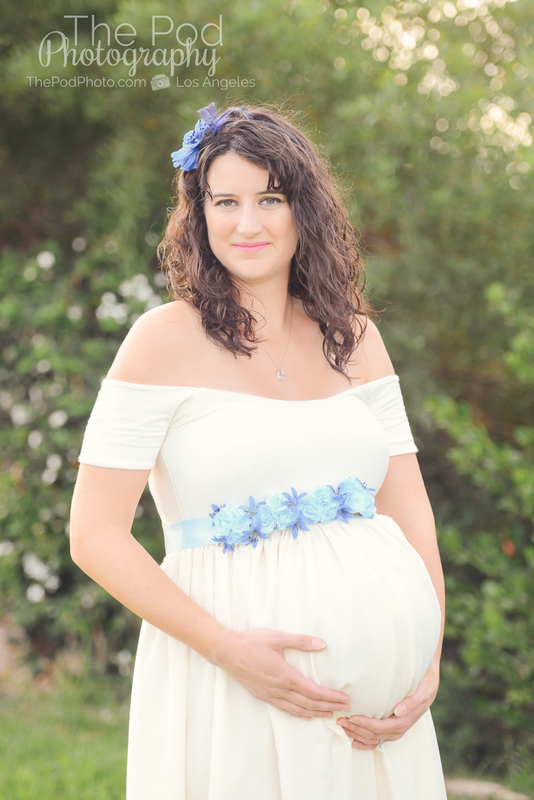 We would love to capture your maternity pictures either at a location of your choice or at our Playa Vista photography studio. 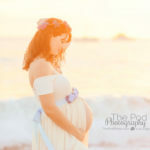 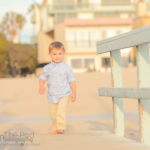 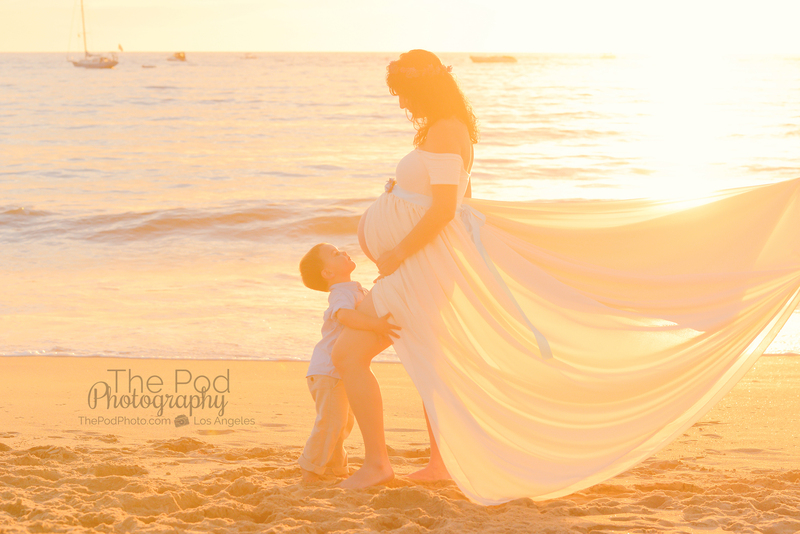 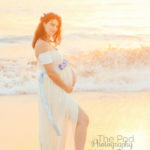 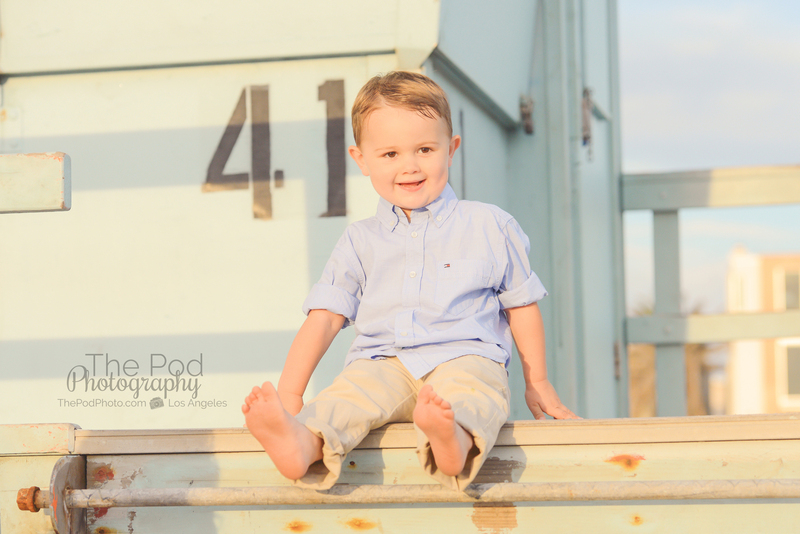 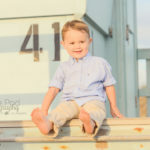 Check out our website www.ThePodPhoto.com and give us a call at 310-391-4500!